Ogden Lodge held it's First Annual Masonic Charity Trail Run today (September 15, 2012) at Homer Lake, and it was a resounding success. It was a beautiful day, and we had 30 runners pre-registered for the 5K, and wound up with a total of 44. Racer No. 34 was the first one across the finish line with a time of 35' 30:48. Thanks to the assistance of so many individuals and businesses in the area, we're going to be able to make a sizable contribution to our selected charity--The Developmental Services Center in Champaign. ﻿ It was a non-competitive fun run--we had runners and walkers. The participants ranged in age from 7 to 70. We were told by many of the participants that the Homer Lake trails were both beautiful and challenging. We had some good suggestions for next year, and if participants have other suggestions, we'd like to hear them. 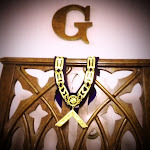 You can send those suggestions to our Lodge Secretary. The community came out in force. We not only had a lot of Masons there, but the Homer Fire Department and Arrow Ambulance was on hand to keep things safe. We also had a lot of help from the Girl Scouts, and the Boy Scouts, who helped sell shirts, run the concessions, and helped keep time at the finish line. We also had a great trailer that was loaned to us by the St. Joseph (IL) IGA. The St. Joe IGA also donated many of the refreshments along with Village Pantry in Ogden. The entire list of donors is listed here. After the race, we had a lot of great door prizes that we gave away from many of the local businesses in the area. It was a lot of fun, and a great day. We're already looking forward to next year--armed with the experience we gained from this first event.